Her family moved to Thessaloniki when she was a small girl, and sometime later to Athens, certainly before the 1923 population exchange that resulted from the 1922 Asia Minor Disaster. Despite her family's strong disapproval, she went on the stage, dancing in a theatre in Athens or Thessaloniki. If one accepts an earlier d.o.b. for Roza, her claim to have started dancing around the age of 15 would place the beginning of her career before WW1. She may, however, have started at a rather later age. Regardless of these discrepancies, what matters is that Roza became the most successful female Greek popular singer of her generation. Her great 'rival' was Rita Abatzi. Her first mentor was Panayotis Toundas, himself an Asia Minor refugee and one of the most successful record producers Greek-language recording has ever known, as well as a prolific composer and arranger of popular music. 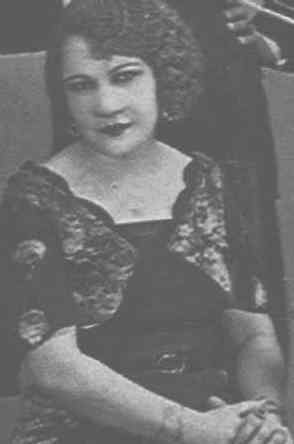 His 'discovery' of Roza changed her life; she made her first recording around 1930. Roza Eskenazi excelled in every popular genre - dimotika, amanedes, smyrneika, hasiklidika, and rebetika. and worked with all the greatest composers of the 'first-generation' musician/composers, including Vangelis Papazoglou,Spiros Peristeris, Kostas Skarvelis, and Markos Vamvakaris. Many of her best recordings featured Dimitrios Semsis, the "best violin in the Balkans" [1993, L.Torp]. She continued working with second-generation composers such as Manolis Hiotis. By the 1950's her career had waned but in 1954 she travelled to Constantinople and performed at a number of night-spots in that city. She followed this tour with a trip to the USA where she enjoyed great sucess with diaspora audiences. Roza made several recordings in both countries during these tours. Roza continured to perform all her life, and, like other veteran artistes, enjoyed somewhat of a come-back with the revival of interest in the rebetiko tragoudi that became noticable in the late 1960's. She continued to record and perform, appearing live in the 1970's with young artistes such as Haris Alexiou. The great rebetissa died on 2 December, 1980, a living legend of Greek popular music.